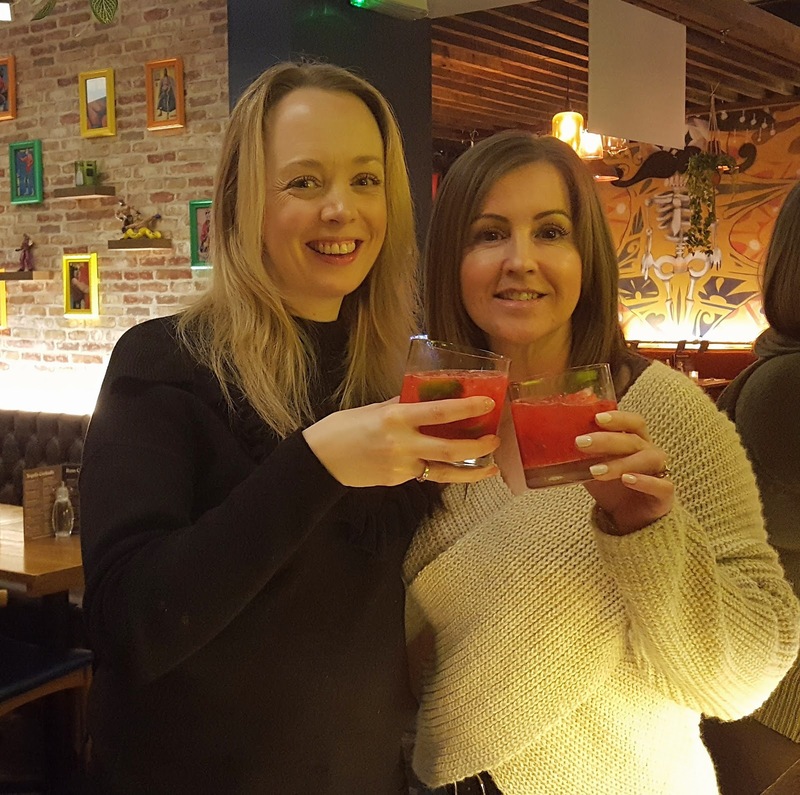 A couple of weeks ago I was invited to go along to Bodega restaurant in Leicester to sample dishes from their latest menu launch. 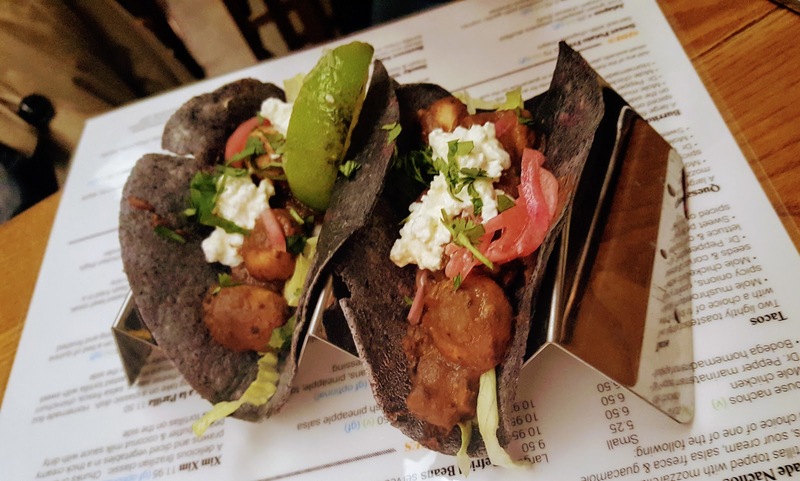 Bodega specialise in South American street food and is one of my favourite restaurants in Leicester so I was keen to see the menu changes. 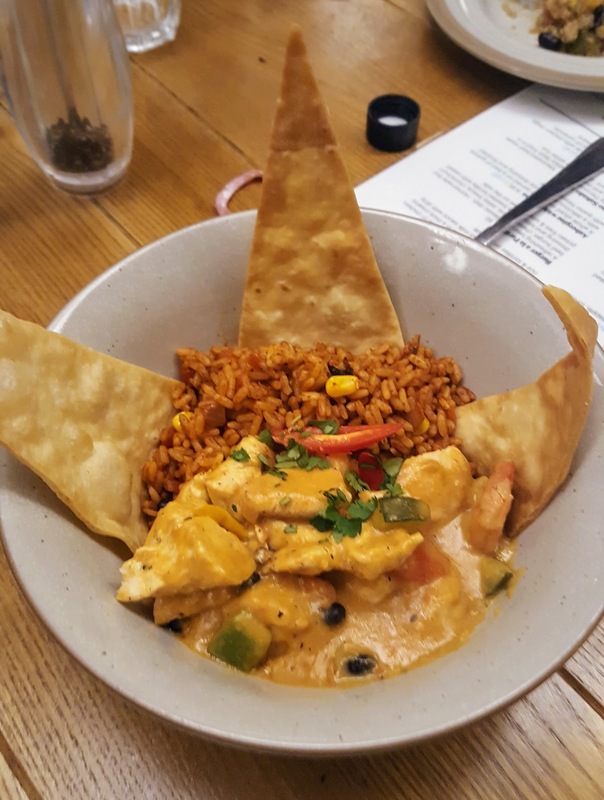 They have kept many of their most popular dishes, including thankfully the nachos, Dr Pepper pulled pork and my favourite cocktail the elder-flower and blueberry margarita. You can read all about those in my last review here. A lot of thought has then gone into the many new additions. 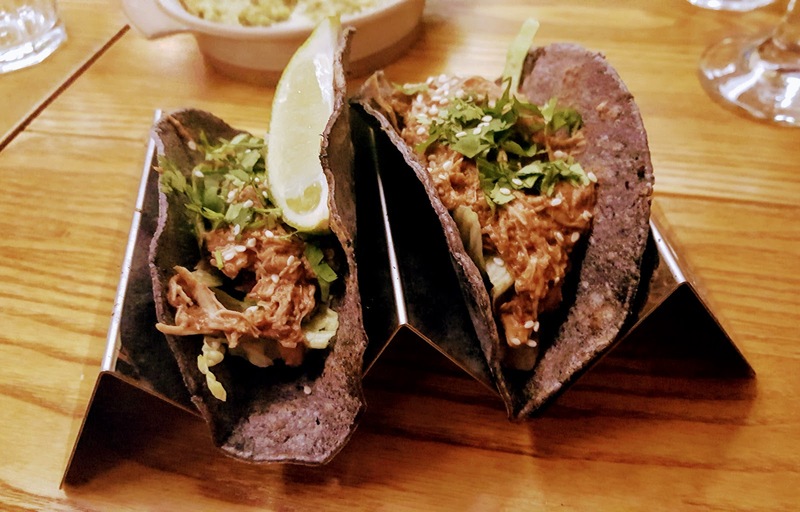 There is an emphasis on keeping the food traditional and one of Bodega's chefs, taking inspiration from a personal visit to South America, has the chain now serving tacos made from a blue corn, they look awesome. 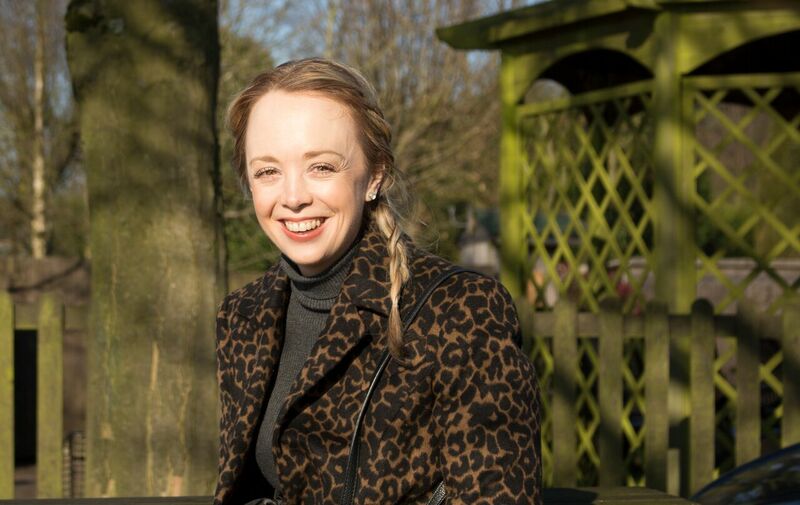 The new menu is also influenced by the current clean eating trend and along side the usual fayre you will find many healthy dishes. There is a very good vegan menu and many dishes are gluten free. We were welcomed with a pornstar daiquiri cocktail. 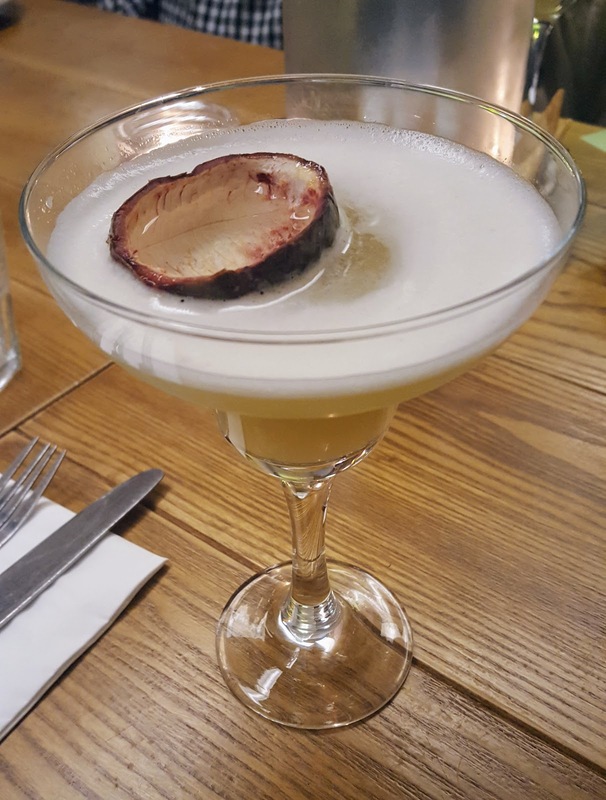 I love rum based cocktails and this one comes with a prosecco filled passionfruit floating in it! 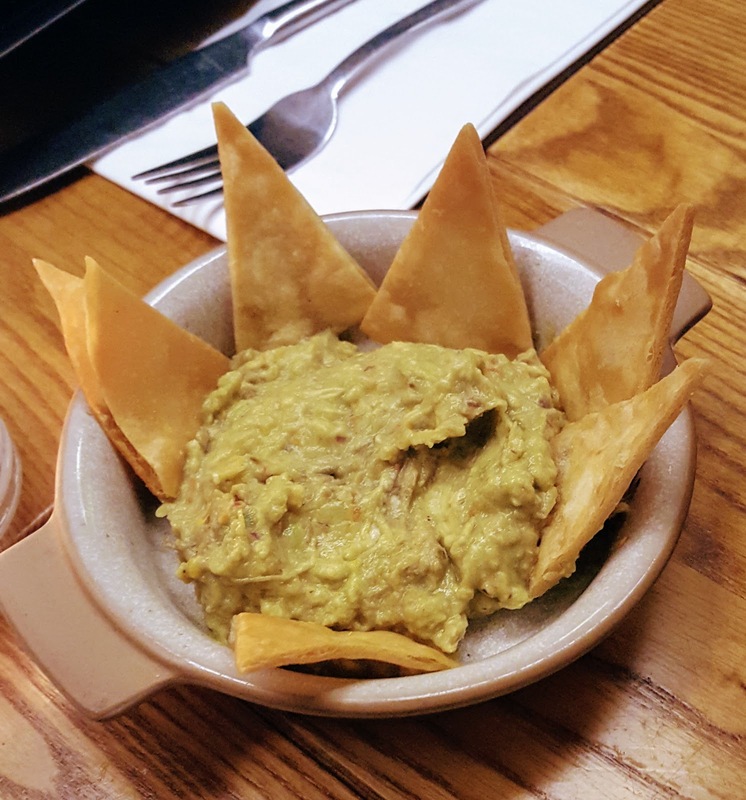 We also had an appetiser of guacamole and tortilla chips. Bodega's tortilla chips are very good, hence my love of their nachos. We then got to try two versions of the new tacos. One contained mole chicken with iceberg lettuce, sesame seed and corriander. I must be honest that for me this was the one dish of the evening that disappointed. Mole is a spice blend yet for me the chicken tasted too bland and the texture of the blue tacos didn't work with the chicken. The second taco was filled with mole mushrooms, refried beans, cheddar, spicy onions and queso fresco (a creamy white cheese.) This for me worked so much better. I liked the blue tacos with this filling and the filling itself tasted very good. The small mushrooms were left whole which added a great texture and I loved the queso fresco. Next we were given two main dishes and a side to sample. 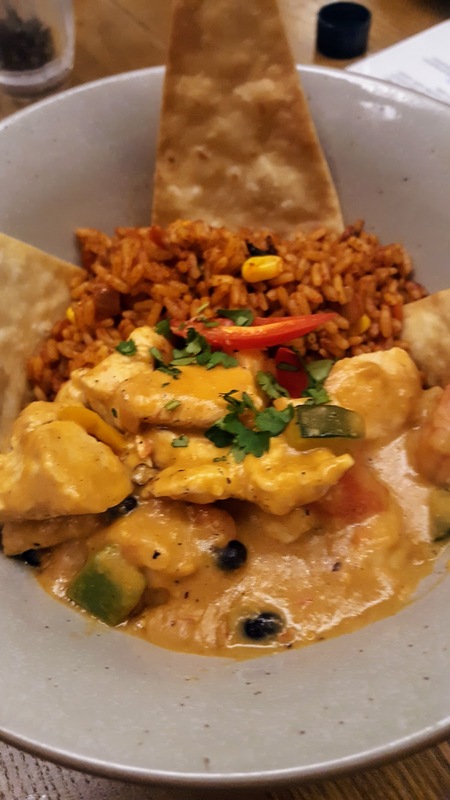 We had the Xim Xim, chunks of chicken, prawns and diced vegetables in a thick creamy peanut butter and coconut milk sauce with dirty rice and tortillas. 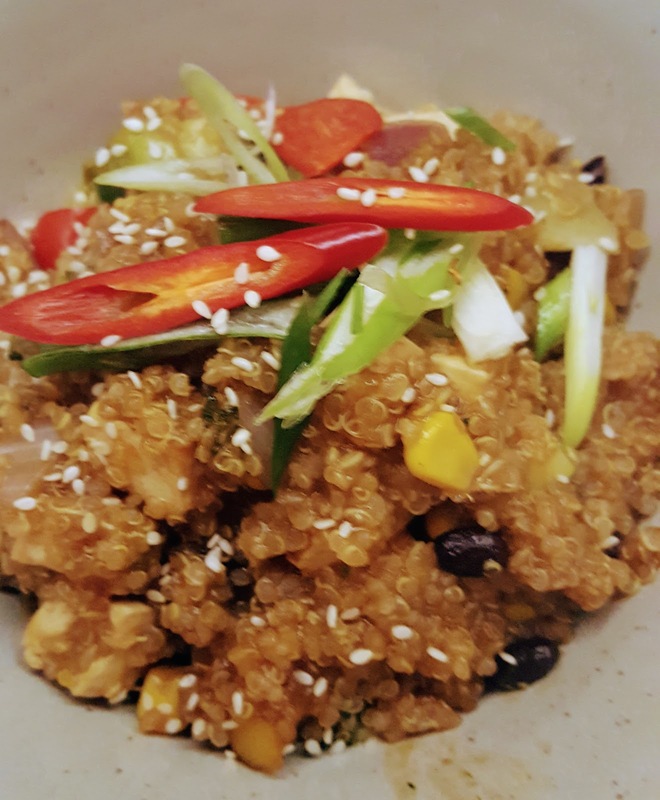 The Quinoa Chifa, a stir fry containing quinoa, tofu, broccoli, sliced vegetables and spring onion in a terriyaki sauce. 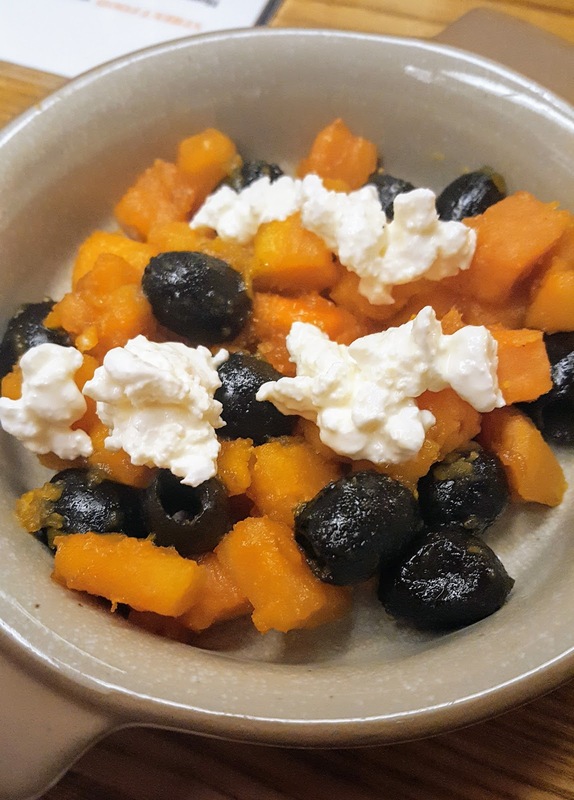 The side was Sticky Agave Sweet Potatoes, these were served with black olives and queso fresco cheese. I enjoyed all three dishes. For me the outstanding one was the quinoa chifa. This surprised me as I am not usually a fan of chinese food and I did not use to enjoy tofu. Yet this dish was cooked perfectly and for me was a real comfort food dish. I would definitely order this one again. 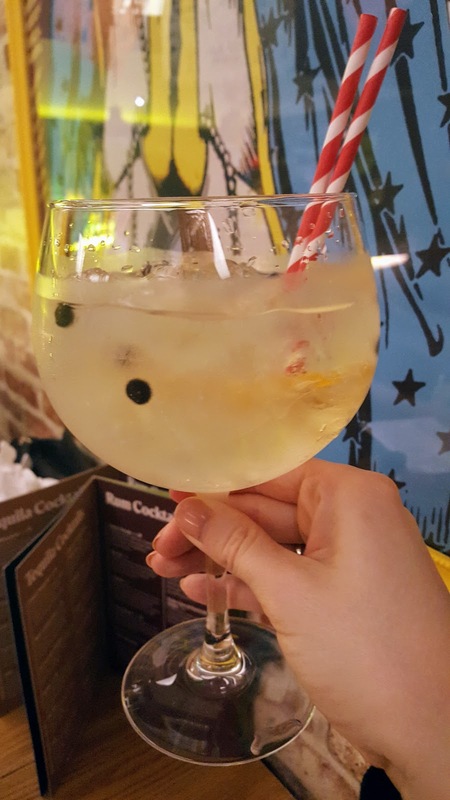 We washed down our mains with a gin a tonic, served with lemon, juniper berries and a herbal tonic. 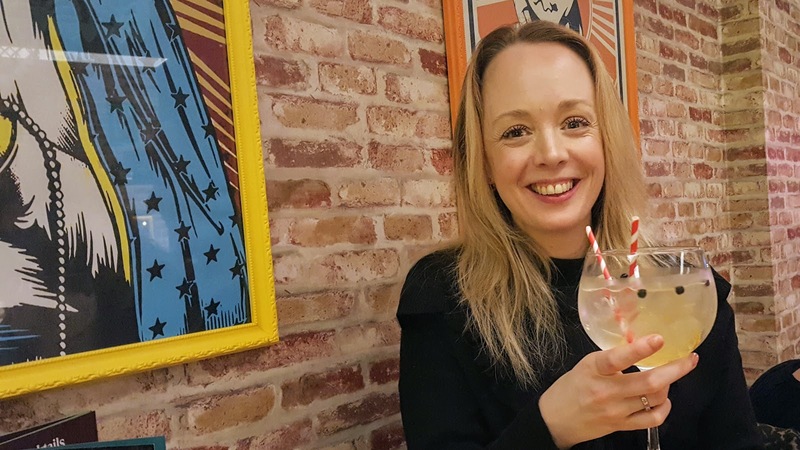 I am not a gin and tonic fan by rights yet I must admit I very much enjoyed this one so may have to give them a new chance. 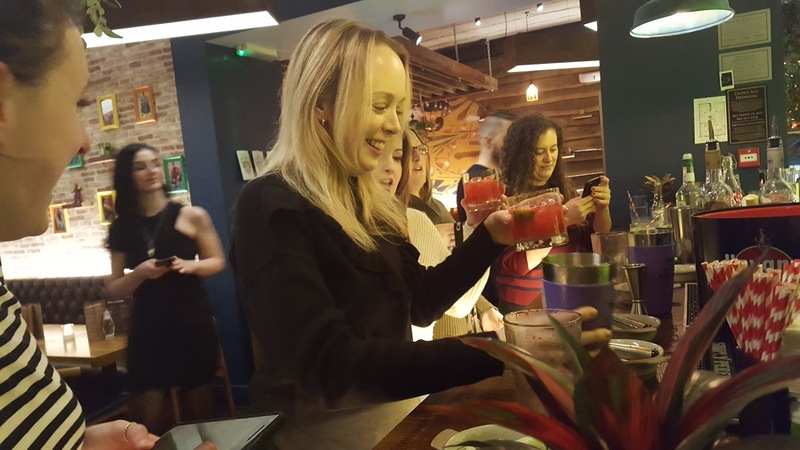 We finished the evening with my favourite part, a cocktail making lesson! You can see from the pictures that I enjoyed this part and was very proud of my concoction. Me and Steph from Priceless Life of Mine, enjoying the fruits of our labours! 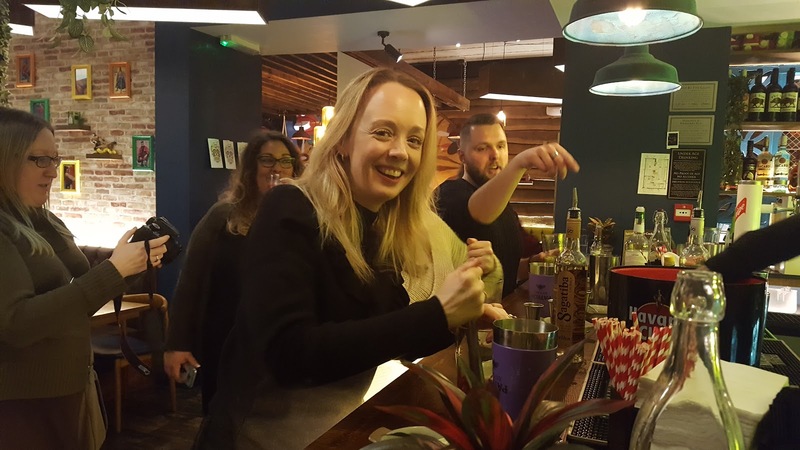 Bodega really is one of my favourite Leicester restaurants and I highly recommend it for the food, service and atmosphere. You can find more details on Bodega here. I was provided with all the food and drinks during the evening however this post is not sponsored and all opinions are my own.